Come to CCC monthly book chat on " A Thousand Years of Good Prayers", . You are also welcome even though you may not have read a single page of the book yet. Just join our discussion! The book is now available at Beijing Foreign Language Book Store in Wangfujing St.
"Immortality," winner of The Paris Review' s Plimpton Prize for new writers, tells the story of a young man who bears a striking resemblance to a dictator and so finds a calling to immortality. In "The Princess of Nebraska," a man and a woman who were both in love with a young actor in China meet again in America and try to reconcile the lost love with their new lives. "After a Life" illuminates the vagaries of marriage, parenthood, and gender, unfolding the story of a couple who keep a daughter hidden from the world. 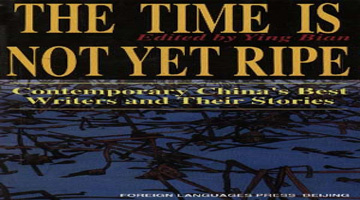 And in "A Thousand Years of Good Prayers," in which a man visits America for the first time to see his recently divorced daughter, only to discover that all is not as it seems, Li boldly explores the effects of communism on language, faith, and an entire people, underlining transformation in its many meanings and incarnations. "Yiyun Li is a true storyteller. Great stories offer us the details of life on the riverbanks: birth, family, dinner, and love, all framing the powerful flow of terror, death, political change, the river itself. A Thousand Years of Good Prayers is as grand an epic and as tenderly private as a reader could wish." "With great tenderness, tact, and humor, these stories open a world that is culturally remote from us, and at the same time as humanly intimate as if its people were our own family and their thoughts the thoughts that lie nearest our own hearts." "This extraordinary collection reminds you just how big a short story can be. With wit, ruthlessness, and an understanding of human nature - Its grand follies, private sorrows, and petty dreams. A Thousand Years of Good Prayers may remind you of Flannery O' Connor, though Li is an original. Read this book and marvel at a writer both at the height of her powers and at the start of a brilliant career." Yiyun Li grew up in Beijing and attended Peking University. She came to the United States in 1996 to study medicine and started writing two years later. After receiving a master' s degree in immunology from the University of Iowa, she attended the Iowa Writers' Workshop, where she received an MFA. Li is a recipient of The Paris Review' s Plimpton Prize for new writers. Her stories have been published in The New Yorker, The Paris Review, Glimmer Train, and Prospect. She lives in Oakland, California with her husband and their two sons.